you exactly where you were meant to be? 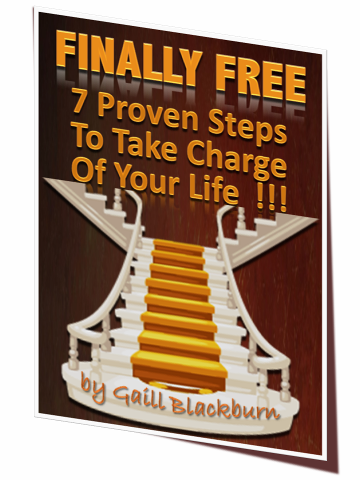 your barriers & change your life forever? life purpose and live a soul-inspired life? We are pretty much guaranteed pain at one point or another in our life, but suffering is truly optional! Painful situations are put into our lives to help us grow and evolve into who we were truly meant to be. It is definitely easier to stay all warm and cozy in the status quo, but the Universe has a way of nudging us to realize our full potential (if we listen). Unfortunately we usually don’t listen until it is too painful to do anything else but! Why is it that it usually takes “pain” to get us to take notice of what is going on in our lives? Pain is a Gift From the Universe! Who wants to go through pain without coming out bigger, better and brighter in the end? Not me… Who wants to wallow in self pity only to extend the suffering? Certainly not me… Although I do have to admit that I didn’t always think that way (remember back to when I lived in “constant chaos mode” and was actually quite comfortable in the suffering). But meeting your pain head on, dealing with it, discovering the Gift, and growing into a more enlightened version of you is what makes your Soul shine! Life is a Mirror. Everything is Feedback! Everything in life that gives you a “charge” (pisses you off) is a reflection of something that you need to recognize and love within yourself. Here is a perfect example: I used to get soooo incredibly pissed off at my father-in-law’s stinginess with money. He was so stingy infact that he would oftentimes end up spending more money in the long run than if he would have not been so stingy to begin with! A mirror to something going on with me? You are insane if you think I’m stingy – I give money and time much to my detriment… Then WHY is there always such a charge in ME as to what is going on with him? It’s HIS deal, not mine… Or is it? The things that bother you about another person ALWAYS reflect something going on in YOU that you need to address and heal. So I decided to get in front of the mirror and figure out, once and for all, what it was that I was stingy about. What part of my life was I stingy with? Then it slapped me in the face… As a volunteer I was always giving of my time, but at the end of the day when it came to my own family, I was sorely lacking. 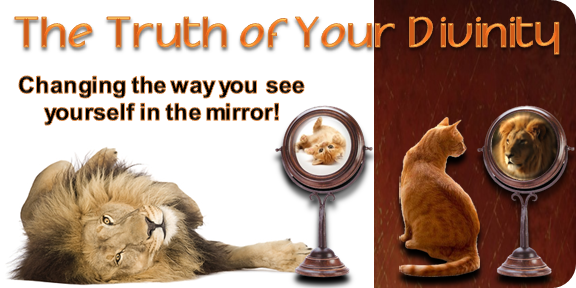 That is the amazing phenomenon about mirrors – once you uncover what it is in YOU that is reflected back at you through another – the charge you had associated with that person (which was really YOU) mysteriously goes away! Isn’t that absolutely crazy? Through my realization that I was stingy in the time I spent with the ones I loved the most, I was able to heal myself, even laugh at the sillyness of it all, and eventually not even notice the stinginess in my father-in-law. It had served it’s purpose – to make me aware of something that I needed to heal within myself… Now on to bigger and better mirrors as they will always be there! I feel very blessed to be at a point in my life where I am able to very successfully help others gain clarity and insight as to why certain scenarios keep occurring in life. I boldly (yet lovingly) hold up that mirror in order for you to discover what keeps you stuck, and empower you to fulfill your Soul purpose and to be the best version of YOU possible. Are You Ready To Find Out What Your Mirror Reveals? Get your FREE report right now! What does your mirror reveal? Gaill is a compassionate healer with a true gift. I saw her a couple of months ago for a soul-realignment and energy healing. I work in a field to motivate others and help them remove their fears; however, I had a huge fear that was standing in my way and preventing me from walking my most divine path. I gave my information to her prior to the session, and she had all of the information I needed to know by the time I arrived. She shared her findings with me and made a few subtle shifts in a very kind manner. Ever since then, my whole life shifted. The thing that I was afraid to "come out of the closet about" - tarot reading - was now burning in my heart again as freely as it did when I first fell in love with the cards as a tool for transformation. Only one difference, now I don't feel like I have to hide this. In fact, I have been more motivated, and have been revamping my website to include it in my practice. The effect of Gaill's healing was subtle but profound. I have been much more motivated to do my work. Where I used to procrastinate because of fear, now I just get stuff done. Even when I'm afraid, it doesn't stop me. I don't pretend to understand everything that she did, but it works, and Gaill is a magnificent presence. She's kind, compassionate and honest. Thank you, Gaill!